The Future Centre Trust is hosting the 3rd annual Green Gala All-Inclusive Cocktail Party on Sun, Mar 16th, 2019. The party will be held at the Port St. Charles Yacht Club. 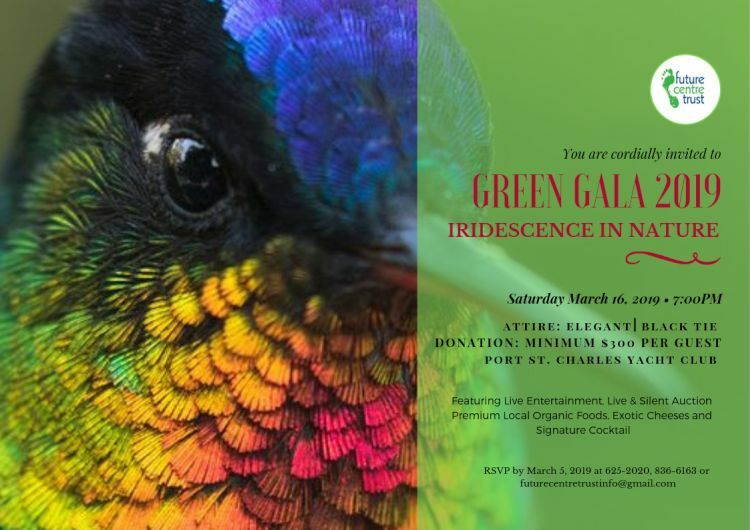 Green Gala will be an evening of live entertainment, thought-provoking videos and displays, local organic foods, exotic cheeses and a special signature cocktail. Throughout the evening, there will be a live auction of a live painting, plus a silent auction for many exciting prizes. The Future Centre Trust will present informative talks and displays about their current and future programmes.